IMPC 2016, which begins in two weeks' time in Quebec City, is expected to gather over 1,000 professionals and academics from the mining industry representing approximately 60 countries. Top universities specializing in mineral processing, all major mining companies, plus the leading providers in the world of services and technologies will attend the congress. The technical sessions will facilitate knowledge exchange, analysis and discussion of the most recent innovations in themes related to mineral processing. MEI is a media partner, and we will be preparing a report on the event which is scheduled to be published on the blog on September 19th, although there will be daily conference updates on the blog and on Twitter (@barrywills #IMPC2016). We will be reporting on people and innovations, so it would be great if you could call at our booth (#402) and tell us what you have been up to. 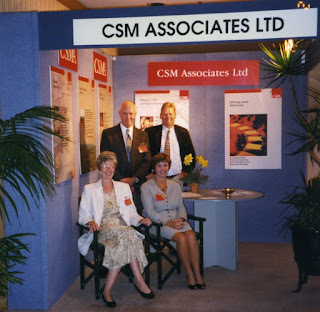 Minerals Engineering '96, organised with CSM Associates Ltd, shortly before the birth of MEI, was our first venture into Australia, and it began in Brisbane 20 years ago today. 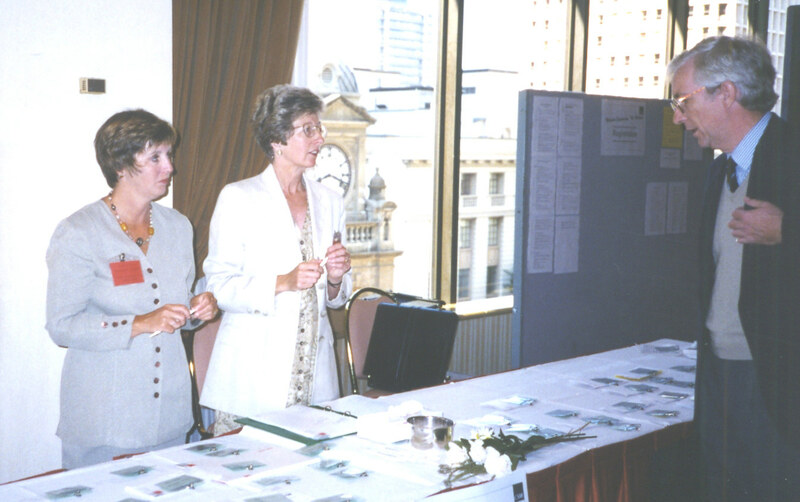 Below are a few of the photographs from our archives. I remember some of the names and faces, but not all, so maybe you could help in putting names to some of the faces. 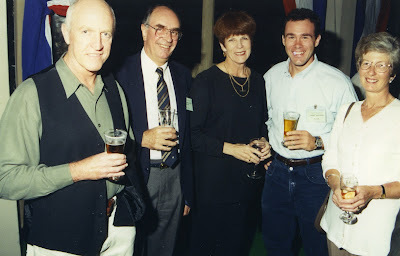 Jim Watson, Barbara, Ted Bearman, BW, ?, ?, ? 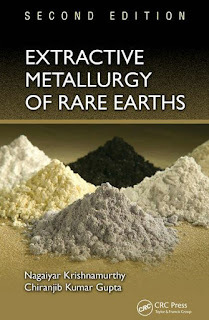 Employing four decades of experience in the rare metal and rare earths industry, Nagaiyar Krishnamurthy and Chiranjib Kumar Gupta, the authors of Extractive Metallurgy of Rare Earths, Second Edition, have updated the most important developments in rare earths extractive metallurgy over the past 10 years. The book emphasises advances made in rare-earth materials processing (converting a rare-earth metal, alloy, or compound to a device-ready material), breakthroughs in the area of rare-earth separation, and now includes a chapter on the recycling of rare earth elements from magnets, batteries, and phosphors among others, covering both manufacturing scrap or materials in end of life devices. 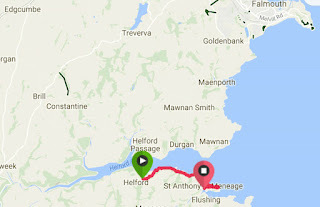 The stretch of the Helford River between Helford Village and Gillan Creek is a relatively easy, if not particularly inspiring, 3 mile walk. Much of the coastal path lies under the dense canopy of woodland along the bank of the river, which clears only occasionally to provide views of the secluded beaches and rocky inlets between the village and the mouth of the river at Nare Head. Arriving a Gillan Creek, the only viable option, rather than a long detour inland, was a wade across the creek, but as this was not possible due to the state of the tide, I retraced my steps from here. 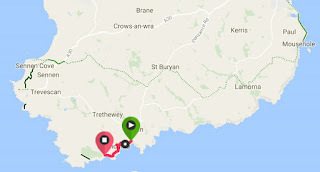 This is not a walk that I would strongly recommend to anyone visiting Cornwall. The Helford River is certainly beautiful, but the north bank from Helford Passage to Falmouth is by contrast one of the most scenic on the south coast. Despite last evening being warm and dry, there was an unusually low turn-out for the monthly Cornish Mining Sundowner, at Falmouth's Chain Locker pub. The Sundowner is always a good place to hear common sense opinions of what is happening in the mining industry, and also what is not happening, or likely to happen. There has been much chatter lately on social media, and also in the local and national press, of a resurgence in Cornish tin mining. South Crofty in Camborne has been shut for almost two decades and most of its workings are flooded. But Strongbow Exploration, a Canadian company that bought it out of administration this year, is confident that industry economics support a restart. Last year Australian company Wolf Minerals commenced operations at the Drakelands tungsten-tin mine in Devon, the first new metal mine in the UK in over 40 years (posting of 17 September 2015), and although rumour has it that Drakelands is struggling due to refractory ore problems and low metal prices, Strongbow believes that Cornwall is an obvious place to share the revival, as the county once dominated global supplies of copper, and later tin, before the global tin price crash of the 1980s brought a halt to operations. While the local economy has shifted to tourism, Cornwall is still very much mining friendly. This summer 130,000 people saw the “Man Engine”, a 10m-high mechanical puppet, marched across the county to celebrate the decade since mining sites were given Unesco “world heritage” status (posting of 7 August 2016). However, talking to a few of the "old-timers" last night, who, like me have witnessed the fluctuating fortunes of the Cornish industry over the past half century, it is evident that there is a great deal of scepticism around the claims, and a feeling that we have heard it all before, South Crofty being known in some circles as "Wheal Two-Years"! Nearly seven years ago (posting of 14 December 2009) I reported that the then new owners of South Crofty, Western Union Mines, had recruited ex-CSM student John Webster to bring the mine back into operation within two years, developing the other ore-types that had been discovered, containing copper, zinc, silver, lithium and indium, which could make South Crofty a true polymetallic mine, that could take advantage of fluctuations in metal prices, rather than be at the mercy of tin prices. Five months later (posting of 10 May 2010) Western Union Mines raised hopes higher by announcing a potentially lucrative new source of income- gold, assaying about 1.6g per tonne. All this optimism came to an end in June 2013 when the mine went into administration, and now three years later we are promised once more that the mine will commence operations in 2 years time. The fact that it operated until 1998 gives South Crofty advantages, including mineral rights and a mining licence that lasts for decades. “If it were not for having the mining permit in place we would not be here today,” Richard Williams, Strongbow’s Wales-born chief executive is reported to have said. He says that South Crofty, where 400,000 tonnes of tin is estimated to have been mined over the centuries, is still a “world-class deposit”, with 2.5m tonnes of ore containing an estimated 44,000 tonnes of tin, and potential for more. But the problems of re-starting a deep mine such as South Crofty are immense and the investment required would be huge. In order to pump the flooded workings dry within a viable period the company needs permission to more than double the permitted level of discharges. And presumably the water would be discharged, via the old adits, into the nearby Red River, which discharges into the area around Godrevy on the north Cornwall coast (posting of 16 October 2015), as would the tailings from the processing plant? And what of the processing plant? - the old comminution, DMS and gravity concentrator has been left to rot since the mine closure nearly 20 years ago, such that a completely new plant would need to be designed and built. So although I would love to report, in two years time, of the start-up of a new operation in the Camborne-Redruth area, I think the opinion last night was 'don't hold your breath'. 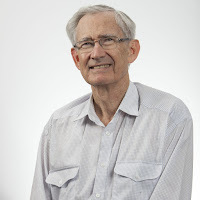 We are delighted to welcome Dr. Bill Johnson, Senior Principal Consulting Engineer, Mineralis Consultants Pty Ltd and Adjunct Professor, JKMRC, SMI, University of Queensland, into the MEI fold. 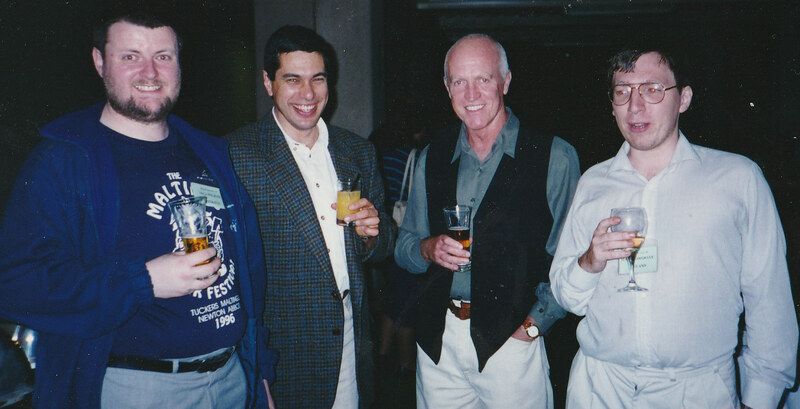 Bill is well known for providing technical courses for professional development of metallurgists from industry and in 1981 was co-author, with Alban Lynch and others, of Mineral and Coal Flotation Circuits: Their Simulation and Control. Bill has had extensive industrial and academic experience, and on joining the CSIRO Division of Mineral Engineering in 1978 his main project was research on the Zinc-Lead Concentrator at Mount Isa Mines Limited. 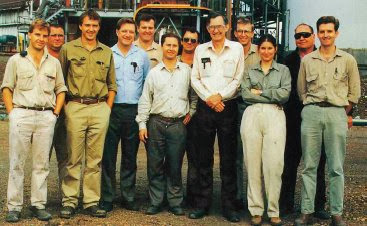 In 1982 he moved to Mount Isa where he continued applied research on the difficult ore treated in the Zinc-Lead Concentrator and other plants and ores of MIM Holdings, becoming the Minerals Processing Research Manager (1989-1997) of the laboratory and pilot plant facilities at the operating site in Mount Isa (see also posting of 13 November 2013). Development of a circuit for McArthur River zinc-lead ore recommenced in August 1989 under his direction; this ore had even more difficult properties than the Mount Isa zinc-lead ore, well known for its difficult properties; one important outcome of the McArthur River project was the IsaMill technology, for which he and his colleague Joe Pease, a keynote lecturer at this year's Comminution '16, have been nominated in the comminution section for the 2016 International Mining Hall of Fame, the results of which will be announced in October. The photo below shows the Mount Isa Mines mineral processing research team in 1995, with Joe 6th left and Bill 8th left. Bill will present his keynote in the Applications section of Flotation '17 in Cape Town, the Fundamentals keynote lecturer being Prof. Roe-Hoan Yoon. 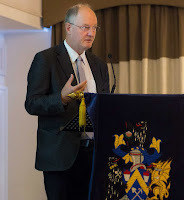 Dr. Johnson will discuss the wide range of opportunities which exist for greatly increasing the efficiency of concentrators, in their design and by retro-fitting existing concentrators, but exploitation of the opportunities will depend on the perceived urgency for this change within the mineral industry by companies. 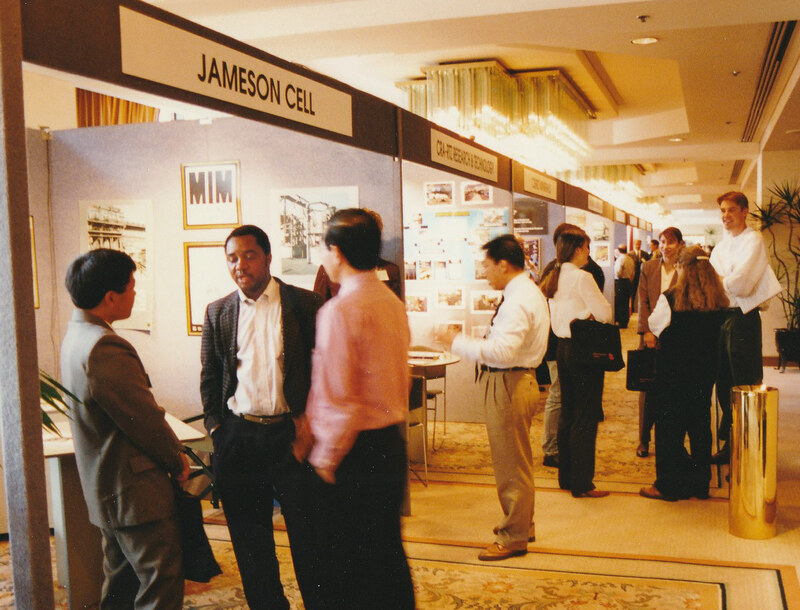 The industry has left behind a recent decade of unusually high product prices which resulted in an emphasis on “production at almost any cost” and which resulted in an emphasis on rapidly designing, constructing and operating new concentrators, reducing the scope for innovation in the concentrator and increasing reliance on some standardization of the designs. He will show how, for each deposit, the design and operation of a concentrator should be considered within the framework of optimisation of the total mining/processing sequence. It would be necessary to evaluate the potential for identification and rejection of low grade uneconomic portions of the mined material for each deposit. The evaluation would recognize those deposits for which the approach is applicable, resulting in an improvement of feed quality early in the mining/processing sequence. This aspect, which at present often only receives cursory attention for most design studies, can also be assessed for an existing mining/processing sequence for which retro-fitting is a possibility. Within a new concentrator important options giving improvements in metallurgical and energy efficiencies will be described. Some of these options may also be implementable for an existing concentrator. He will also consider some important concentrator designs from the past, because of the instructive design approaches and because of their relevance for future designs. There is a lot to look forward to at Flotation '17! The one and a half mile stretch of coast between the beaches of Pedn Vounder at Treen Cliff and Porthchapel is arguably one of the most beautiful in Cornwall, with three stunning white sand beaches and crystal clear turquoise water. The coastal path is high above the beaches, but there is access to each of them with great viewpoints for photographers. 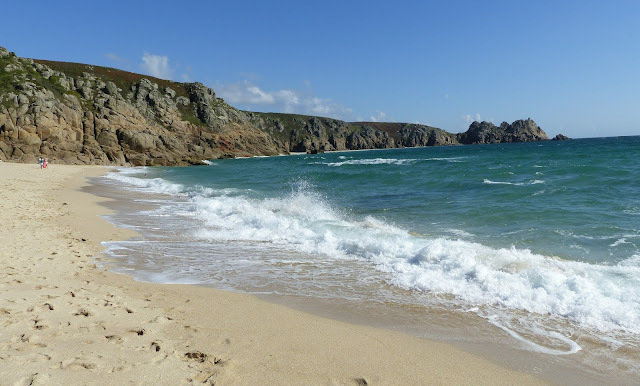 Pedn Vounder is one of Cornwall's most photographed beaches with the granite cliffs of Treryn Dinas to the east, on which is perched the famous Logan Rock, a rectangular block of granite which weighs about 70 tons, and which can be rocked back and forth by one person. 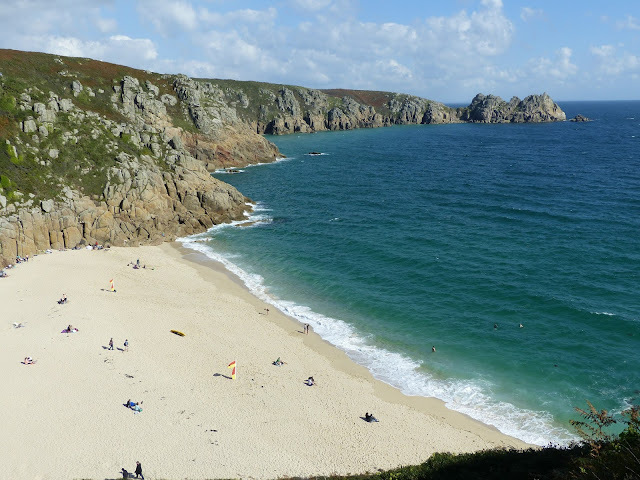 A short distance from Treen is the equally beautiful Porthcurno beach, which has the added bonus of being situated below one of Cornwall's icons, the Minack Theatre, an ampitheatre constructed within the granite rocks, and listed as one of the world's most spectacular theatres. 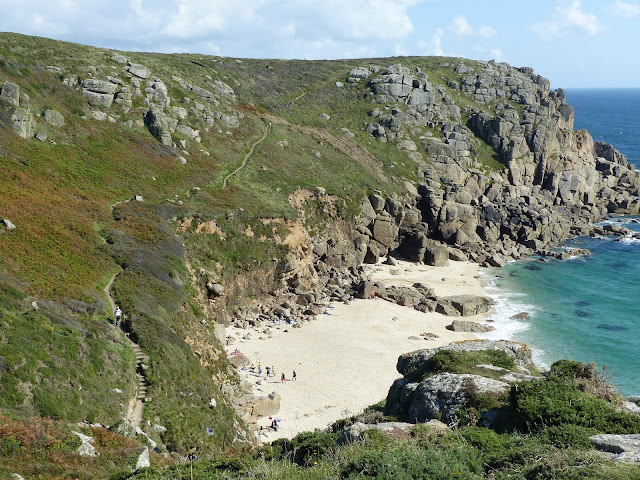 A short, but more strenuous, walk from Porthcurno beach takes us to the picturesque sandy cove of Porthchapel. This 2016 2nd edition, by A. Gupta and D.S. 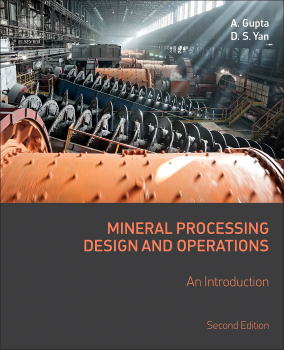 Yan, helps further understanding of the various methods commonly used in mineral beneficiation and concentration processes. Application of theory to practice is explained at each stage, helping operators understand associated implications in each unit process. The book covers the theory and formulae for unit capacities and power requirements to help the designer develop the necessary equipment and flow-sheets to economically attain maximum yield and grade. Full details can be found at the Elsevier Store. Falmouth harbour provided a picturesque setting this evening for the RAF's Red Arrows Display Team's annual visit to 'Falmouth Week'. No matter how many times you see them, they never fail to impress. 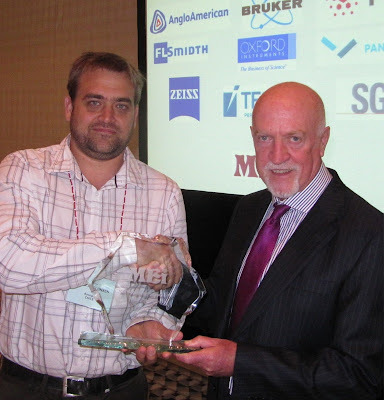 We are pleased that South American company Aminpro has decided to sponsor Flotation '17, the 3rd time that they have weighed in with support for this conference series. With offices in Peru, Chile and Canada, Aminpro, a metallurgical consulting firm, provides engineering, modeling, simulation and optimization for concentration plants and tailings. The Business Director is Roger Amelunxen, and his son Peter is Metallurgy Director. Peter is a familiar sight at MEI Conferences. He presented a keynote lecture at Flotation '15 and he was the first recipient of the MEI Young Person's Award. For the past two weeks the largest mechanical puppet ever constructed in Britain has been performing on a 130-mile journey from Tavistock in West Devon and through each of the ten World Heritage mining areas in the historic Cornish landscape, accompanied by more than a dozen "miners" and traditional "bal-maidens" who had the job of animating the steam-powered giant. 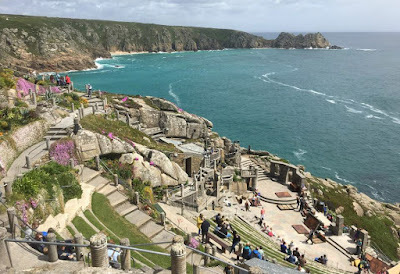 The epic journey of the giant "Man Engine", weighing 40 tonnes and over 10 metres tall when standing, marked the tenth anniversary of the date when the Cornwall and West Devon Mining Landscape was added to the UNESCO list of World Heritage Sites. Yesterday it came to the end of its journey, in the far west of Cornwall, via Poldark country to the Geevor tin mine, which ceased operations in 1990. Geevor is the most easterly of the submarine mines which worked copper and tin deposits far out beneath the sea bed. The submarine mines area was a fitting terminus for the Man Engine, named after one of Cornwall's most infamous innovations. Essentially a moving ladder, the man-engine worked by fixing platforms on the wooden rods, connected to the beam engine on the surface, which moved slowly up and down in the shaft. There were platforms and handles on the side of the shaft with similar platforms and handles on the moving rod. 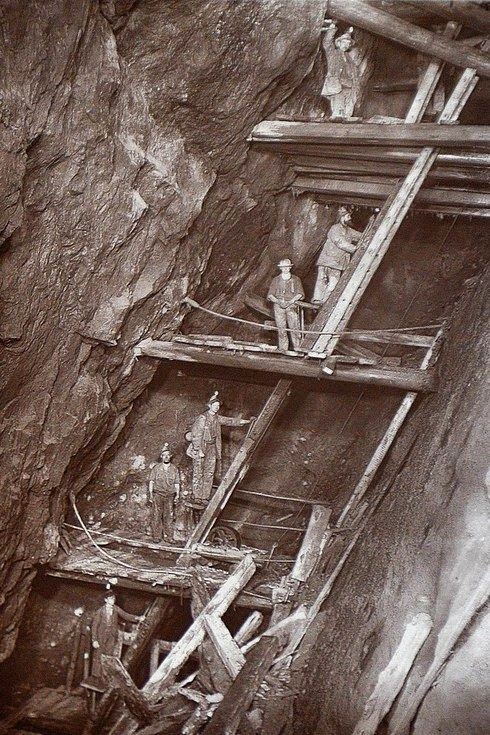 To go up the shaft, the miner would step onto the platform on the rod and ride up to the next platform. Here he would step onto a platform onto the shaft. He would repeat this until he got to the top. A short distance westerly from Geevor is Levant, where copper and tin were mined for generations, and the mine workings extend over a mile out under the sea bed. in 1857 a man engine was installed to carry men many fathoms up and down the mine. In 1919, the man engine suffered a disastrous failure when a link between the rod and the engine snapped, killing 31 men, the tragedy sounding the death knell of Levant mining, which experienced a steady decline until its final closure in 1930. Fittingly, to mark the end of the journey of the Man Engine, the names of all those killed in the Levant disaster were read out, together with the names of the 19 men and one young boy, who was on his first week at the mine, who died in January 1893 when flood water broke through the underground workings of Wheal Owles, west of Botallack. Their bodies were never recovered and the mine remained closed from that day. 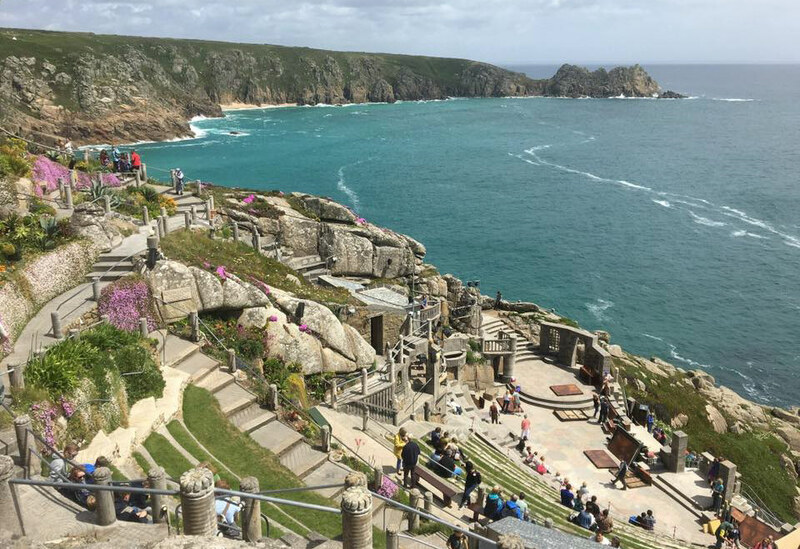 The Man Engine has been not only a celebration of Cornish mining but a reminder of the hardships and tragedies suffered by Cornish miners over the centuries. 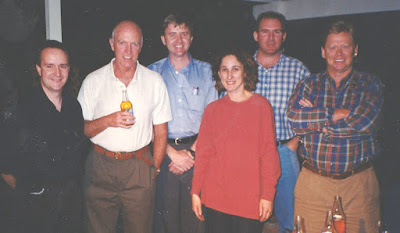 Minerals Engineering first went online in 2005 via the Elsevier Electronic Submission (EES) system. The transition from dealing with manuscripts by email to EES was smooth and painless and during the last 11 years I have refined the system to our needs and it has served us very well. I am sure that many of you are aware that Elsevier is now phasing out EES and replacing it with EVISE, an enhanced system for submissions. The EVISE system went online for Minerals Engineering on July 20th and Associate Editor Pablo Brito-Parada and I have identified some areas of concern, which has lead to some delay in dealing with in-flow of manuscripts. I am pleased to inform you that Elsevier has agreed to revert to EES until these problems have been alleviated, and papers can now be submitted as usual via the journal's EES website. I can assure you that business is as usual and Pablo and I will be working with Elsevier to identify and refine the EVISE system, and I apologise for any inconvenience experienced by authors during the past couple of weeks. The 10 most popular blog postings in July can be seen below, together with the date of the posting and the total number of comments on the post. We encourage you to share your views by submitting your comments on blog postings. Last month there were over 20,000 page views, so interacting with the blog enhances your international presence by providing you, and your company or Institute, with valuable exposure. The SAIMM's Hydrometallurgy '16 conference, held at the Mount Nelson Hotel in Cape Town, finished yesterday. Although a media partner, no one from MEI was able to attend, but we would very much like your views if you did participate in the event. The purpose of the conference was to bring together internationally and locally recognized experts, industries, R&D establishments, academia as well as students to explore how future metal demands can be met through modern hydrometallurgical technologies that can assist in sustainable metal extraction, lower energy costs and minimise the impact on the environment. Three of the world's most spectacular waterfalls are Africa's Victoria Falls, South America's Iguasu and Canada's Niagara Falls. I have been to Victoria Falls seven times over the years and have always been in awe of the majestic splendour. Niagara I have visited only once, and was slightly underwhelmed. Last year Barbara and I spent a wonderful week by Victoria Falls during the SAIMM's Base Metals Conference, and vowed that the following year we would visit Iguasu to compare these two mighty natural wonders. So after last month's week in Peru, we flew to Rio de Janeiro, stopping off for 3 nights in Iguasu. Victoria Falls is roughly twice the height of Niagara, but while it is neither the highest nor the widest waterfall in the world, it is classified as the largest, based on its width of 1,708 metres (5,604 ft) and height of 108 metres (354 ft), resulting in the world's largest sheet of falling water. In comparison Iguasu is the world's largest waterfall system, comprising up to 275 separate falls, varying between 60 to 82 metres (197 to 269 ft) high, dependent on the time of year and the water flow. Approximately half of the river's flow falls into a long and narrow chasm called the Devil's Throat. Both Victoria and Iguasu straddle two countries, the former Zambia and Zimbabwe, the latter Brazil and Argentina, and any visit should take into account the very different viewpoints from either side. They also have the common feature of certain wildlife taking advantage of tourists in their hunts for food. 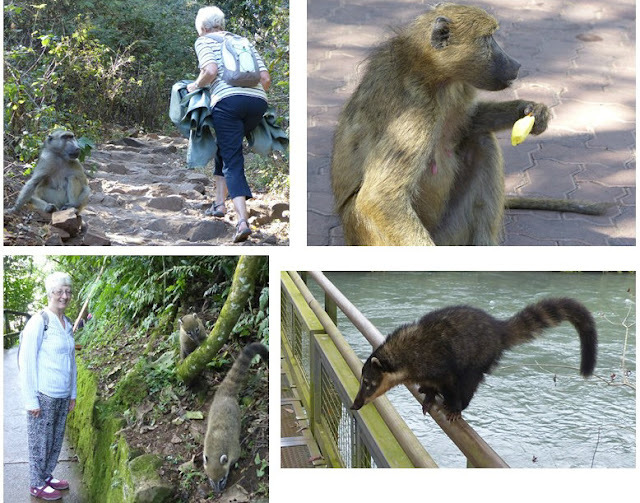 In Africa it is the baboons which can be a nuisance, while at Iguasu it is the racoon-like coatis. So, on our first visit to Iguasu we spent the first day in Brazil, which provides a great view of the overall system, but the "wow factor" of Victoria was not quite there. On day 2 we took the long drive over to the Argentinian side, a big difference from the leisurely stroll across the Victoria Falls bridge which spans the two African countries. But the journey, and the long queue for the shuttle train to the Falls, was more than worthwhile. From this side of the river the marvellous man-made trails and viewing platforms gave us an awesome view of the Devil's Throat and many of the associated Falls, such that at the end of the day we had to agree that Iguasu was now our number 1 spectacle, and Victoria Falls number 2. And we had to agree with the late U.S. First Lady Eleanor Roosevelt who was reportedly so impressed with Iguasu that she said "Poor Niagara." Having said that, overall I still rate Victoria Falls number 1 for an extended stay, due to the abundance of wildlife in the area, wonderful sunset cruises on the Zambezi, and the close proximity to Botswana and the chance of a day out to Chobe, arguably Africa's greatest National Park. All very subjective, I know, so if you have been to any of these spectacular Falls, let us know your views.